Learn all about vehicle history reports! Before you get too attached to the car you have your heart set on, ask to see its vehicle history report. Check out what you need to know about a car’s vehicle history report before you seal the deal on a used ride. The vehicle history report is a summary of a used car’s past. It provides valuable insight into the condition of the car. Generally, they consist of the number of owners, any reports of theft, any records of accidents, maintenance history, previous mileage records, the registration history, whether there have been any recalls on the vehicle, and any other information pertinent to the car’s past. How does a vehicle history report factor into my insurance? Your vehicle history report gives a record of any serious accidents. If there have been any collisions that required a salvage title, meaning the car was so badly damaged that it cost more than 75 percent of the car’s value to fix, your insurance is likely going to be higher. Because the car has a greater risk of an accident, your rates are higher. How is all the history gathered? 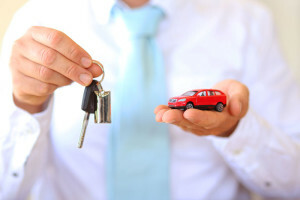 A vehicle history report is vital to the used car buying process. You need it to investigate the car’s past so that you’re able to make an informed decision as to whether or not you want to buy the car. It can reveal serious issues when it comes to the car’s condition. However, keep in mind that the information listed in the report is limited. It’s gathered from previous owners, state authorities, and mechanics. While these tools are helpful, they may not be fully representative of the car’s history. Know that while they shed some light on the condition of the car, they may not be representing the whole story. After checking out the vehicle history report, make sure you invest in the right auto insurance coverage for your used car. Contact the professionals at Robert J. Los Insurance Agency to find you the right insurance. Located in Hamburg, New York, we serve all your personal and commercial insurance needs.